"Wifi" stands for "Web Interface For... 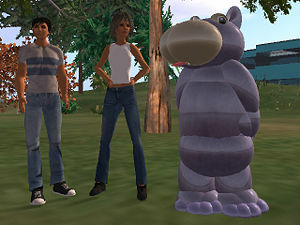 I", and is an add-on module which is not a standard part of OpenSim. 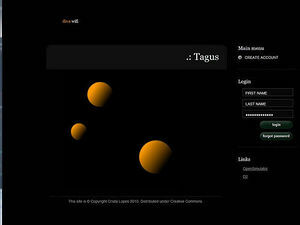 It is provided by Diva Canto and can be added to OpenSim 0.7 onwards. Packaged binary versions of Wifi are available from http://github.com/diva/d2/downloads in two packages: as part of the standalone Diva distribution (D2) of OpenSimulator, and another package for use with a ROBUST server grid implementation of OpenSim. The latter package (Wifi for Robust) is NOT intended to work with standalone implementations of OpenSim. Obtain the latest Wifi module distribution zip from http://github.com/diva/d2/downloads and place the files as instructed in the equivalent locations in your OpenSim directory. Copy WifiPages directory and its contents to OpenSim top level directory. Note that it will be usual to specify the port number to be accessible outside your firewall (normally port 8002) rather than the default Network Port for internal inter-component OpenSim traffic (normally port 8003) which can be set to only be accessible within a firewall. If you do not use the usual OpenSim service ports, please note that some network setups and ISPs will not allow HTTP to be served on port 80. It is usual to use an alternative port such as 8080 or a custom port in that case. A facility to add LINK REGIONS is available in Wifi versions for OpenSim 0.7.1 onwards.